You may know that Bacharach is a CARF and Joint Commission accredited medical rehabilitation hospital in Pomona, but did you know we also have 17 physical and occupational therapy centers throughout South Jersey? 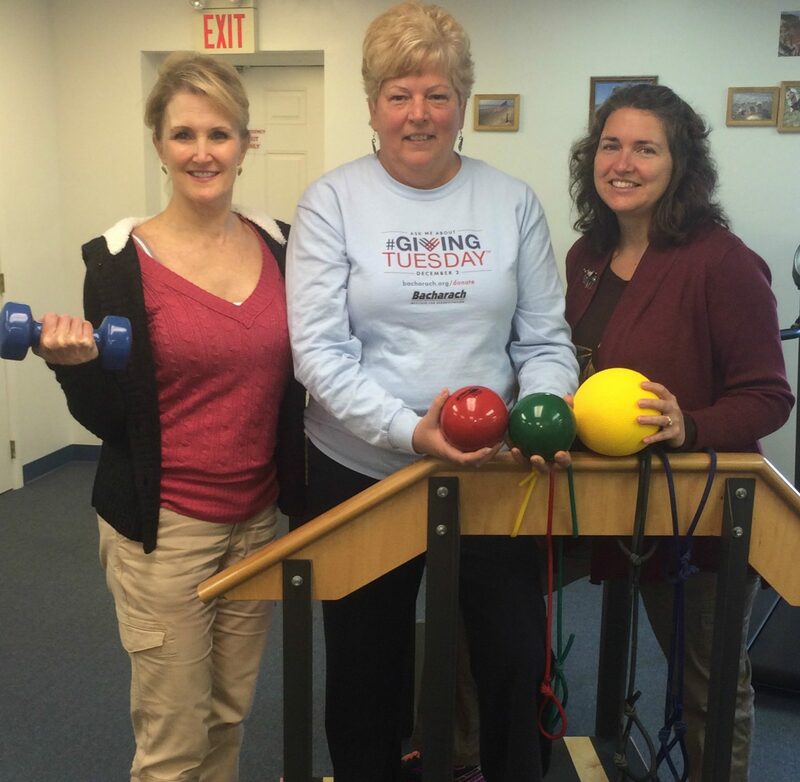 Opened in 2003, our Brigantine Bacharach Therapy Center offers patients a wide variety of physical and occupational therapy techniques and exercises every Monday through Friday. Recognizing that Brigantine residents are serious rowing fans, the facility has a rowing machine for rehabilitation as well as the usual array of physical therapy equipment. The Brigantine Therapy Center also has a wellness program, similar to a gym membership, available to former patients for $40 a month. Other members of the Brigantine team include Karen Hansen, PT, Karen Roesch, OTR/L and Inez Dickson, who schedules appointments and coordinates the many moving parts that let the therapists focus on their patients. To make a PT or OT appointment at the Brigantine campus, please call 609-264-1666.